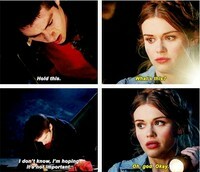 Stiles and Lydia. . Images in the Stiles & Lydia club tagged: photo teen wolf stiles lydia stydia.